The growth of Toycon is phenomenal. I was witness to how it catapulted to National consciousness and how it supported the growth of many fandoms in the country. From the event being held in the Conference room of Megatrade to its occupation of the whole Megatrade Halls and Conference rooms, and now on its second year at the SMX Convention Center, Toycon amazes a lot of pundits, event managers and organizers. It is not sheer luck why the growth of Toycon happened. The growth of Toycon happened because of the leaders of the group’s passion for toys and pop culture. Confucius is correct when he said, “ Choose a job you love, and you will never have to work a day in your life”. The leaders of this event are not working. They are doing what they love and they are facing every challenge in making the event successful head-on. The late nights meeting of the leaders of the group are not merely meetings, but a way to further seal their bond of togetherness. The overflowing support of different groups and communities related to toys and pop culture stem from the reputation of the core group - an assurance that the show will have high value not only to the exhibitors but to the paying exhibitors as well. Exlinkevents is privileged to be part of this great event. Being part of the event, Exlinkevents as an event management company learned a lot from the great leadership and family type culture that the leaders of the event are practicing during the pre-event stage of Toycon. The result of this leadership and culture is evident. The vibrant Toycon Poplife Fan Xperience at SMX convention center is a proof of how passion and vision merge to create a powerful force that a lot of events and market niche can use as a great model of how to carve their own success. Toycon is now one of the biggest and much awaited events in the country. It can rival international events in terms of quality and volume of visitors. Toycon is here to stay and is projected to conquer greater heights. As an event manager well versed in the technical nuances of events, Toycon is a great case study for marketing students, entrepreneurs and event management students. 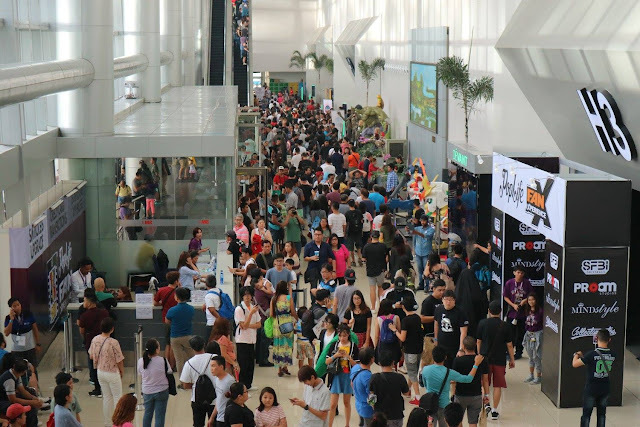 For marketers, Toycon’s success in marketing is that it was able to deliver and satisfy the needs of its target market who are hungry for toys and pop culture events that will allow them gather, trade and learn the latest in these two areas. For entrepreneurs, Toycon’s growth is a product of passionate and visionary leaders who first wanted to deliver value before making a profit. They battle against bigger challenges and so far are winning. For event managers, Toycon is a lesson on creating a culture and a strong character of making the impossible possible. There are a lot of lessons that can be distilled from the recent Toycon 2017 event. But for now what is mentioned here will suffice. As for Toycon and the leaders behind it, their journey to greatness is just beginning.